Stone Carving Courses will be held at Darley Hall, Lastingham, YO62 6TL. The Hall is in the centre of the picturesque village of Lastingham, which is an inspiring setting for your course. The venue will be clearly signed, and there are plenty parking spaces at the site. 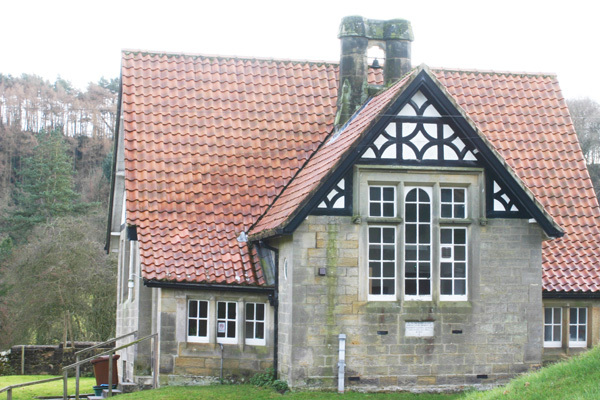 Lastingham Village Hall was given to the community in 1946 by the Darley family. Originally it was built as a school in the 1800’s – you can see the bell, to call pupils to attention, held by two stone pillars above the roof. There is a large main hall which is perfect for exhibitions or workshops. If the weather is fine we will be working outside under a marquee in the small grounds and garden area.